By now you’ve probably heard that Super Mario will be coming to the iPhone 7 with a brand new game, “Super Mario Run”. More and more we’ve been seeing our childhood memories come back to us now as adults. Years ago when the game ‘Rock Band’ was released, the younger generation was introduced to music from the 80’s and the old tunes became popular again. Now it seems that the trend is continuing, with kids being introduced to the classic games that generations before them enjoyed. Whether it’s with Apple’s upcoming release or the wave of retro gaming plug and play consoles with built-in games set to launch this holiday season, retro gaming is creeping its way into today’s modern world. To really grasp the movement that is happening with retro gaming revival, it's best to start from the beginning. Retro gaming is what some know as classic gaming or old school gaming - usually played on systems that are out-of-date and discontinued or using hardware such as cartridges that are no longer on the market for those who are die hard fans and collectors of novelty items. Many fans of games such as Super Mario, Pac-Man, Kirby and many more look at the rebirth of retro gaming as a homecoming. Now this rebirth of retro gaming is not only happening through consoles or video games, but everywhere else too. More and more companies are jumping on the retro gaming bandwagon and making sure gamers not only have the video games, but also anything else that can feature retro gaming. Clothing stores now proudly sport t-shirts and other paraphernalia that have some sort of retro gaming reference. Other companies are accessorising gamers with home products, board games, and other goods featuring beloved retro characters. Reading this, you’re probably wondering “why is retro gaming important now, when it has existed for years because everything in the tech world becomes obsolete or retro?” Well, even though retro gaming has existed since the creation of the video game industry, all the latest emulation technology as well as the internet have launched the concept to the forefront of the gaming world. Let’s take for example the ever popular The Legend of ZeldaTM video game franchise which was first released in 1986 and has had several versions ever since, allowing its popularity to grow over the years across gaming generations. However, with the rise of retro gaming comes the rise of prices for such novelty items like discontinued consoles or rare cartridges. Going back to The Legend of ZeldaTM, one of it’s games, Ocarina of Time, was priced at $12 in 2010 and has since swelled to more than $25, clearly highlighting the resurgence of retro gaming. Another occurrence involving The Legend of ZeldaTM series and a price increase was back in 2012 when an eBay user listed a Legend of Zelda Nintendo Entertainment System prototype for $150,000. Not only was the price crazy, but what was crazier was that within hours the posting had over 20 offers. These are rare instances but these increases can be seen across all boards when it comes to retro gaming. It’s paying off now for many gamers who were also avid collectors of their favorite games and consoles. What started out as child’s play has stuck through the yesteryears and is now once again in the limelight. 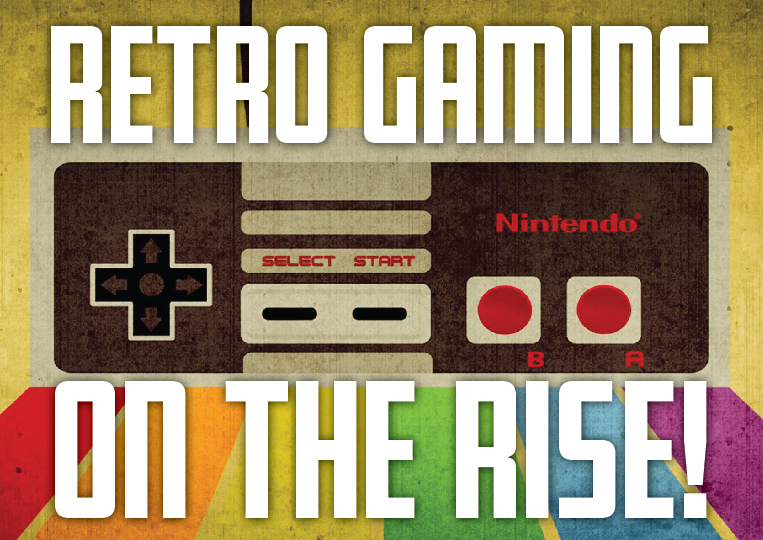 More than 30% of US adult gamers own retro gaming consoles as of 2015, which is when the rebirth first started. The retro gaming sector of the gaming industry is proving to be more and more profitable. 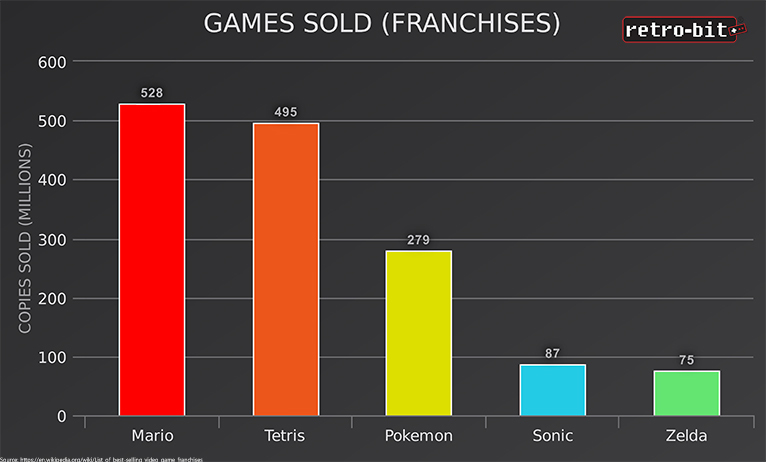 In an article posted on Forbes, the author discussed the top 5 money making gaming franchises and although 3 of the 5 were modern games, the remaining two were Tetris and, you guessed it, Super Mario Bros! It goes to show that if you stick with a classic, it will eventually make its return with profit. So what does this mean for modern gaming? Well it seems there’s a general agreement that what is now considered retro gaming will always have a touch of nostalgia and a happy feeling when playing it. In this fast paced lifestyle where we are moving a mile a minute, many consumers want to go back to the basics in every sense, including gaming. Now more than ever, companies that specialize in video games have realized that the trend is taking a trip back and it's profitable to invest in creating anything retro. One search for retro consoles can garner up to a million hits displaying newly manufactured consoles that were made for the sole purpose of supporting all the retro cartridges that were once collecting dust. Ultimately though, it comes down to the consumer and whether you’re an expert or a noob, retro gaming will have something for you. As the expert you’ll enjoy schooling your counterparts because you’ve been down this path before. As for the noob, it’s a whole new world to discover, and what gamer doesn’t love that? TL;DR Retro gaming is on the rise again through the regeneration of retro related games and other pop culture channels because there is a need to relive the classics. Disclaimer: All images and content found in this blog is intended for educational purposes only, not for the use of monetary gain.